“Pop-up stores are taking over the retail world. Pop -ups are the perfect avenue for online stores to make a “flash” appearance and reach customers they could not reach before. These stores are used to launch new products, generate awareness and introduce collaboration. The Christmas products that we will be offering at Lime Tree Caf� have been carefully chosen and curated for their clientele. There is nothing better than a home that gives the feel of comfort and peace all at the same time. Our Christmas items have been selectively chosen to compliment the style and interior of all Lime Tree Caf� clients Pop-up storesare exciting because they are creative and engaging.”-Rima Dardenne, President and CEO of Irony Home. The Lime Tree Cafe and Kitchen have also opened their Festive catering orders, offering a online click-and-collect service for the first time ever. 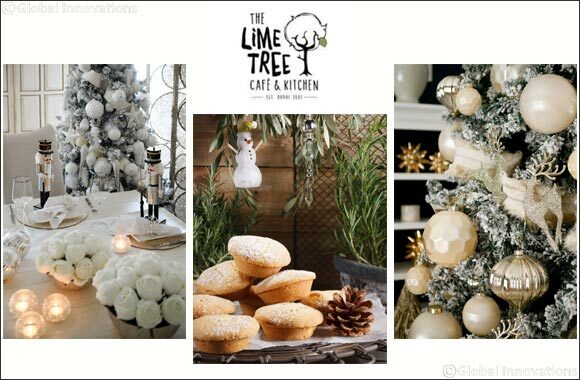 Simply head over to www.thelimetreecafe.com/clickandcollect where customers are able to order their Mince Pies, Puddings, Party Canap�s, Turkey Platters and Festive Cheeseboards all online. Freshly baked Mince Pies and Mini Truffles will be on Cafe counters everyday so customers can pop in anytime & pick up a dozen along with mini Christmas puddings with custard, and a Cafe Christmas Menu! Truffle flavours include Cranberry & White Chocolate Cheesecakes, Florentine Tartles with Praline & drizzled with Dark Chocolate.